Hello and welcome back to our weekly foray into the b-school blogosphere for a candid look at what’s keeping MBA applicants and students buzzing. From essay tips and reading recommendations to advice on how to balance your MBA course load, you’re sure to glean some helpful information that will make the b-school journey easier. Tackling the Haas essays— This week we welcome our newest Buzz blogger Essay Tricks, a.k.a. an Indian in the Midwest. In his first three blog posts, Essay Tricks uses an Ishikawa diagram to tackle Haas School of Business‘s first essay question; offers a step-by-step breakdown for answering question number five; and does a double-take on the goals essay. If you’re also in the midst of drafting Haas essays for the December 1st deadline, you should definitely give this new blog a read. Balancing your MBA course load— This week’s tip from MBA Chic is ideal for first-years and applicants alike. Rather than getting pulled under from a killer course load, she offers advice on how to maintain a crucial balance that will allow you to accomplish what you need to without completely sacrificing all social engagements. “This MBA will take a lot of work, but don’t let it take over your life,” she counsels. by Gregory Mankiw to like-minded “poets” who want to brush up or establish their grasp of the subject. Defining entrepreneurship— Given that we’re in the midst of Global Entrepreneurship Week (GEW), it’s only fitting that BabsonMBA2012 shares a video asking “What’s your definition of entrepreneurship?” from Babson College, the top-ranked MBA program for entrepreneurship in the country. Do you have a b-school-centric blog? Want it featured on B-School Buzz? 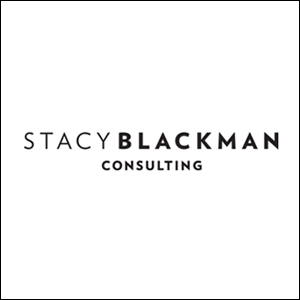 Email me at buzz@StacyBlackman.com. This entry was posted in BSchool Buzz.